Netflix just can't seem to get it right. Late Sunday night, company co-founder and CEO Reed Hastings apologized for mishandling a 60 percent price hike in June while announcing that the company was changing the name of its DVD mailing service to Qwikster. But the company apparently changed the name of its DVD mailing service to Qwikster about as hastily as it announced the 60 percent prike hike which angered thousands of customers and slowed the company's growth. Not long after Netflix's Qwikster news and name became public today, it also became apparent that Netflix doesn't hold the name @Qwikster on Twitter. Turns out the individual who has the Twitter account handle @Qwikster is Jason Castillo, whose icon is a doctored photo of the Sesame Street character Elmo smoking what appears to be marijuana. Most Tweets from Castillo over the past couple of months are laced with sexual innuendo and references to drug use. In one recent gem too foul to reprint here, Castillo ponders whether or not to 'blaze,' according to Fox News. Late Sunday night, Netflix co-founder and CEO has apologized for the way Netflix handled the announcement of the price hike and separation of DVD and streaming businesses. I messed up, Netflix CEO Reed Hastings wrote in a corporate blog posting late Sunday night. I owe everyone an explanation. It is clear from the feedback over the past two months that many members felt we lacked respect and humility in the way we announced the separation of DVD and streaming, and the price changes. That was certainly not our intent, and I offer my sincere apology. Netflix said in July it was separating unlimited streaming and unlimited DVDs-by-mail in the U.S. to better charge for related costs for each service. The company priced unlimited streaming only at $7.99 and unlimited DVDs at $7.99, resulting in a $15.98-per-month subscription charge for both. That resulted in a sudden 60 percent price hike for customers, and tens of thousands lit up the Internet at the time, angry at the company for the move and handling of it. Initially, Netflix said it was prepared to lose some customers -- standing by how the price hike was handled. But recently Netflix reduced its forecast for streaming subscribers to 21.8 million from a previous 22 million -- signaling an end to rapid growth the company had experienced. Hastings said that the company realized that streaming and DVD by mail are becoming two different businesses and that each should be allowed to grow independently. For subscribers, the split will mean little -- except that Qwikster services, including the addition of a video game rental option for Wii, Playstation 3 and Xbox 360 games and a different name. There are no price changes with the renaming and split. 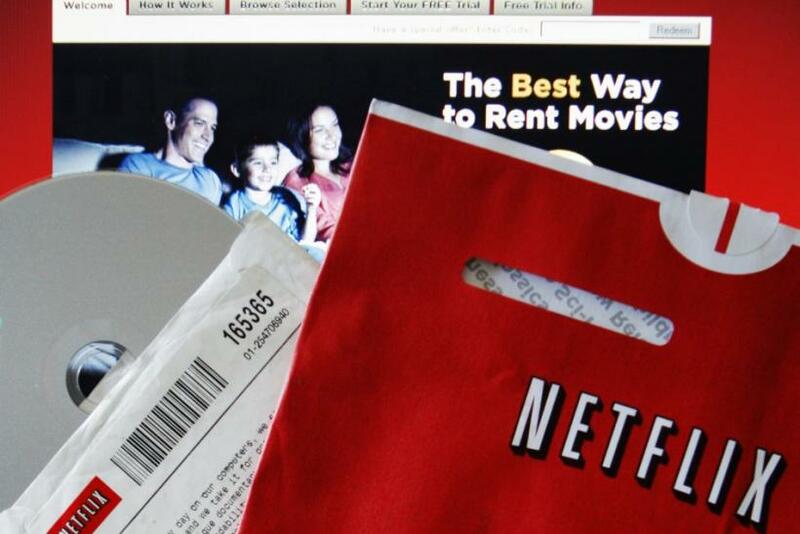 Current subscribers won't have to do anything if they already subscribe to Netflix's DVD-by-mail service.